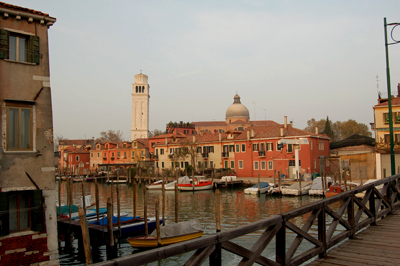 We begin with a very short stop on Lido to change over to the vaporetto that will take us along the outer canal of Venice. 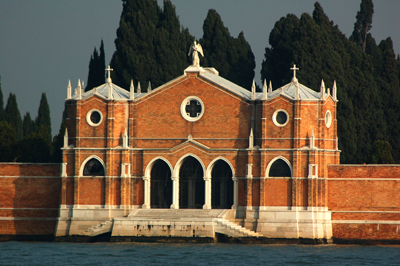 One of the places we pass by is the Isola di San Michele, which is also known as the Isola dei Morti (Island of the Dead), it is home to Venice's cemetery. 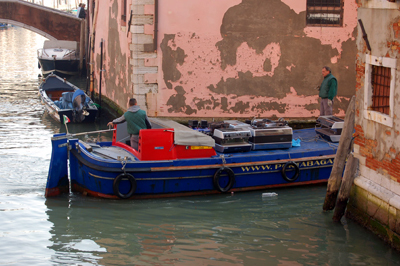 To reach it you need to catch either vaporetto 41 or 42 from Fondamenta Nove - these lines also go to Murano. 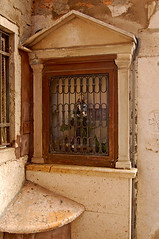 The cemetery dates from 1797 and the fall of Venice to Napoleon - it was decreed that people could no longer be buried within the city. 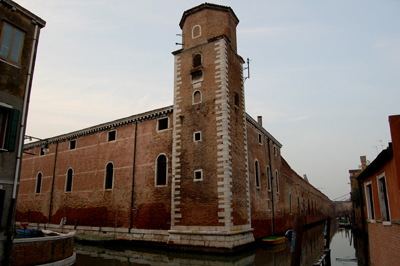 The island of San Michele was chosen because it can be easily reached by gondola. Unfortunately internment on the island isn't a permanent thing - it is only for 12 years. After that time the bones are exhumed and re-interned into a mausoleum box or added to a communal ossuary of the island of Sant'Ariano. 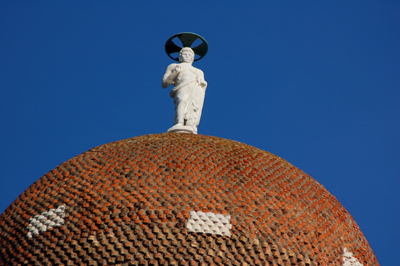 The Chiesa di Madonna Dell'Orto was built in the 1300's and modified in the 15th century. 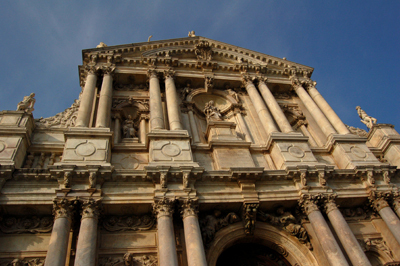 Its facade shows transition from Romanesque to Gothic to Renaissance. 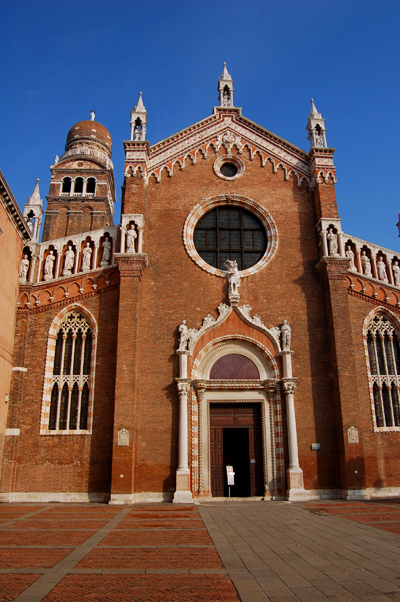 Its noted for housing works by Tintoretto and he is also buried in the church.. 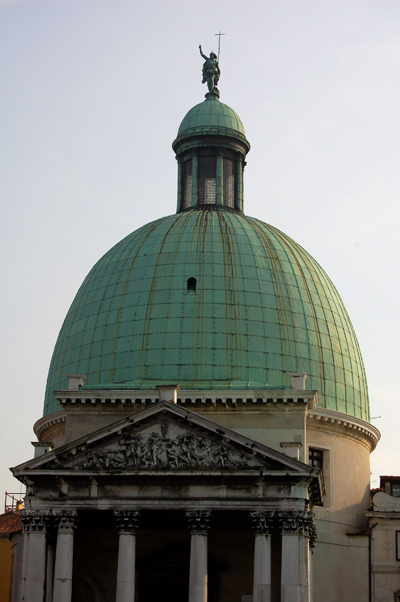 Contained under the onion shaped dome is the bell tower. 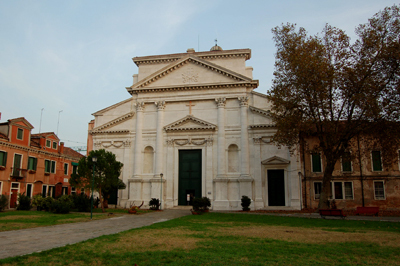 This next church is San Simeone Piccolo, built in 1738 it is based on Rome's Pantheon. It is located just in front of the main train station. 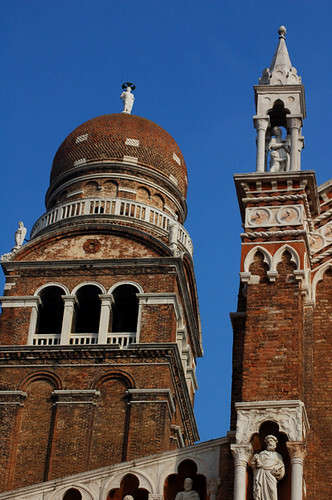 A few doors up from the main station is Church of Santa Maria di Nazareth (known as the Scalzi) - it is right opposite the Scalzi Bridge. 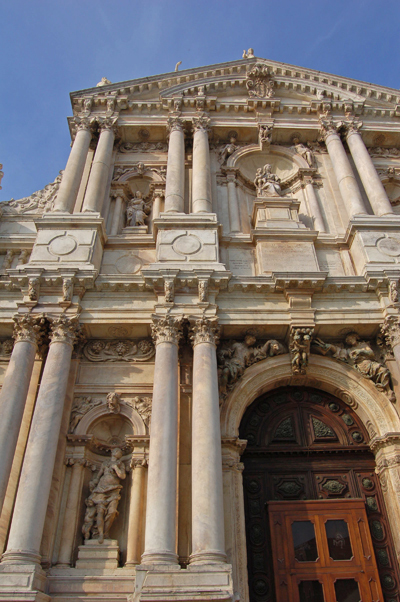 The facade is notable in that it's the only one in Venice made with Carrara marble. 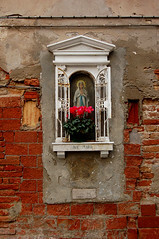 Doesn't matter where you are in Italy you'll always find these street shrines. Our final afternoon in Venice was spent exploring around Castello and Arsenale. Chiesa di San Pietro di Castello is on the island of Olivolo. 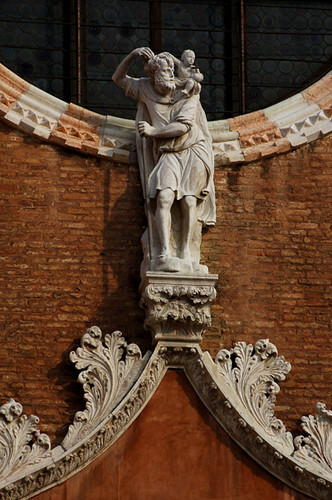 The original church was built in the 7th century and was dedicated to the Saints Sergius and Baccus. This church was built in the 9th Century and was dedicated to St Peter the Apostle. It was altered in the 16th-17th centuries to its current form. 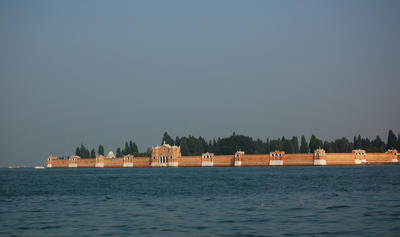 Just a fraction of the Arsenale walls.